A & T Haulage pride themselves as “The Bulk Specialists” carting anything from fertiliser, shingle, grain etc from Ports, Quarries and farms. We cart anywhere in the South Island. 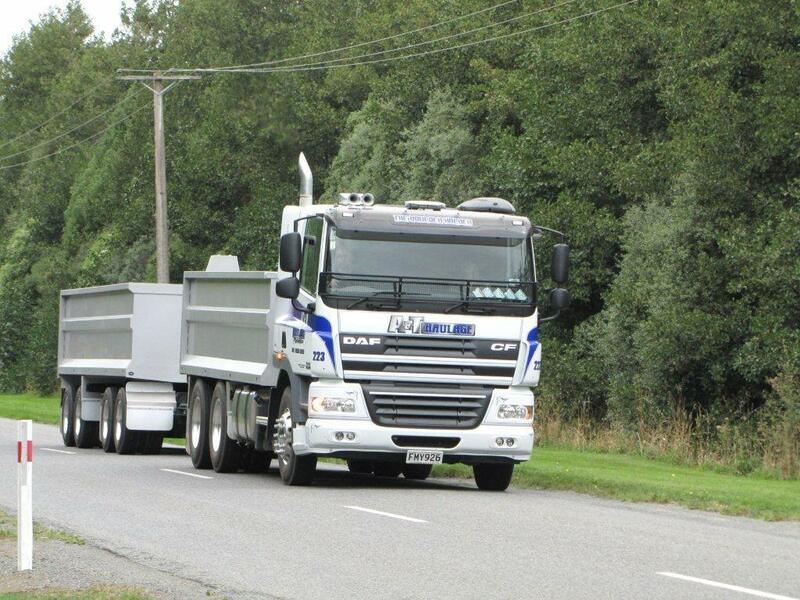 North Island bulk haulage can be arranged on enquiry. At present we are heavily involved with Fulton Hogan, Ballance, Four D Freight and Ravensdown fertiliser just to name a few.